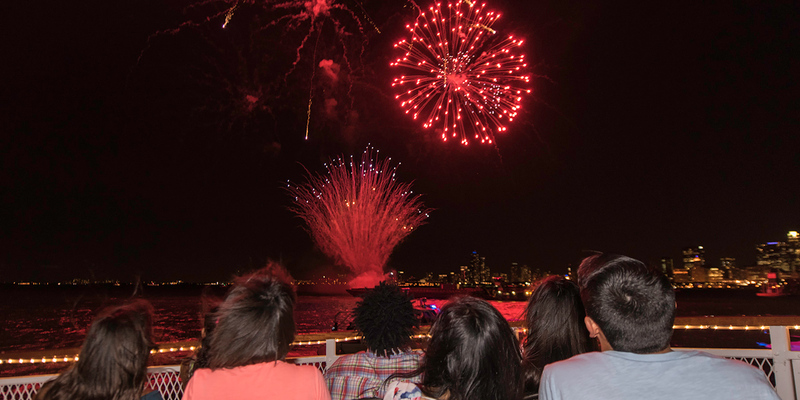 Enjoy a stunning getaway right in the city with our midweek Chicago fireworks cruises, departing Wednesdays every week during the summer months. Capture stunning photos of Chicago’s lakefront skyline on a lively narrated sunset cruise past Buckingham Fountain, Museum Campus, the Chicago River Lock and more. Then put on your complimentary “3D” glasses and enjoy a musical soundtrack as you take in an unbeatable view of a spectacular fireworks display! For groups of 20 more, call us at 312-332-1368. Make a summer weekend into an unforgettable outing with one of our Saturday summer fireworks cruises. Feel the cool night breezes as you move through Chicago’s River Lock system, then enjoy a narrated sunset skyline cruise, taking in Buckingham Fountain and Museum Campus. 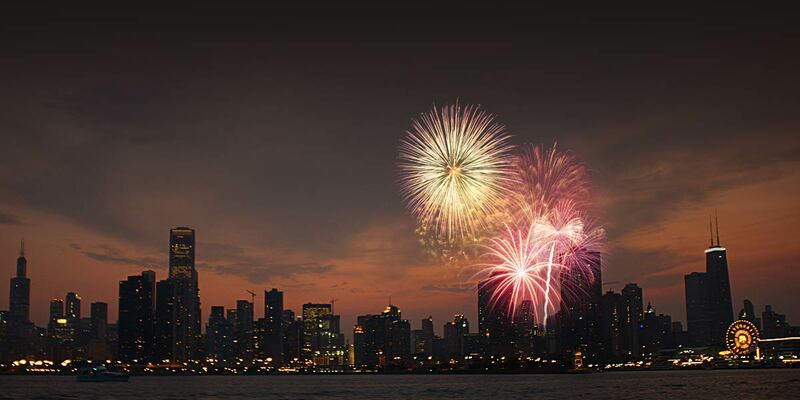 When the sun goes down, put on your complimentary “3D” glasses and enjoy a musical soundtrack as you watch a dazzling fireworks display unfold over Chicago at night! It’s a magical way to spend a Saturday evening you won’t soon forget. Plan a memorable family outing aboard our Fourth of July 3D Fireworks Extravaganza Cruise and enjoy a spectacular fireworks show - with a twist! Each guest receives complimentary 3D glasses and a delicious treat box to enjoy the fireworks show! Cash bar available onboard. Check back for pricing and tickets on-sale date. Minimum group size of 30. Specially developed for student and camp groups following Illinois Learning and NextGen Science Standards, our Science is Fun cruise is a great educational field trip idea that offers young scientists 90-minutes of stunning cruising and hands-on experiments to test Lake Michigan and Chicago River waters. 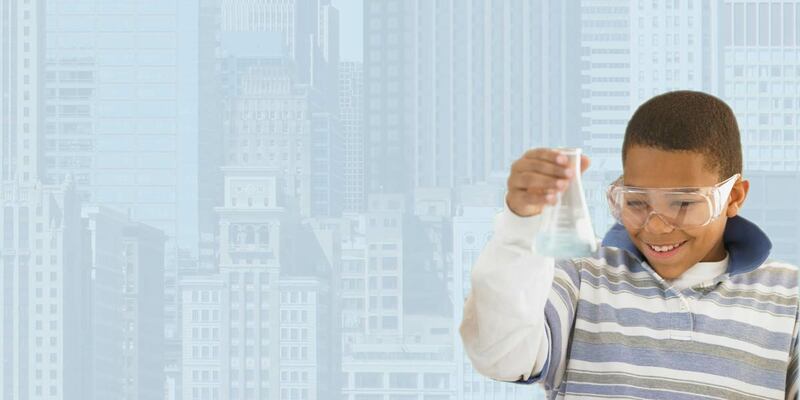 They’ll learn how a boat floats, how skyscrapers stand up to gravity, what it takes to lift and lower one of Chicago’s famous bridges and a look at some slimy migrating creatures with Chicago on their radar! Following the scientific method, we’ll ask a question, let students offer their hypotheses, then perform the experiment to test. Call us today for a VIP group reservation! Minimum group size of 30. Sorry, no individual tickets are available. Call 312-332-1368 or email grouptours@mercurycruises.com.